At Nill Grips we feel that we must look after our customers to the maximum. 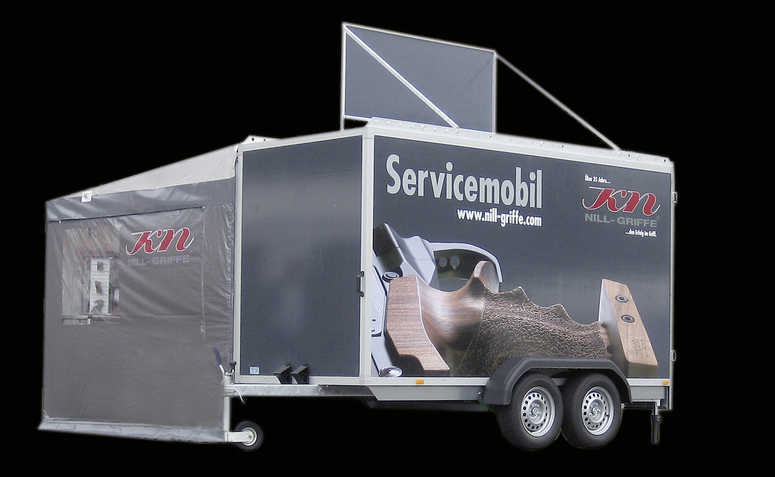 We therefore have a mobile customer service trailer which operates according to a schedule published in the internet. With this service we can look after your specific requirements on site. We can also by appointment make a pattern grip of the customer's hand and copy it in our factory onto the finished wooden grip.